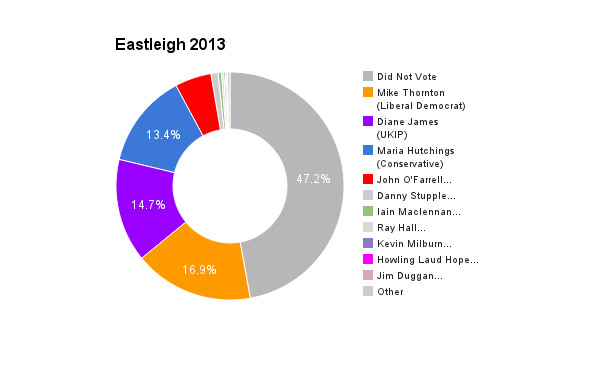 Eastleigh is located in Hampshire in the south of England. The seat was created in 1955 and has been held by the Liberal Democrats since a by-election in 1994. The current member of parliament is the Liberal Democrat Mike Thornton who has served since the by-election in 2013. Ron has been a long standing resident of Eastliegh for nearly 30 years, recently relocated to Southampton with his family. He is a passionate believer in the democratic process and is therefore very excited to be providing the people of Eastleigh an opportunity long denied them to vote for a Green candidate at the election. He is the great grandson of Aylmer Maude who undertook the original translation of Tolstoy’s War & Peace. He attained a degree in Computer engineering from the University of Essex and has been in industry for 30 years. Ron now runs his own business. Ron has been in interested in green issues ever since leaving secondary school, he was involved in the organic movement and helped run WWOOF with his wife. Ron likes to use Cycling as a means of transport and has done the IOW Randonee a couple of times. Ron is particularly interested in education and mental health and the link between the two. He is strongly supportive of recent announcements regarding making PSHE (Personal Social and Health Education) compulsory as promoted by Green MP Caroline Lucas, but also goes further to say that emotional education must be at the core of the education system. If elected I would have a team supporting me who would enable me to stay in contact with the electorate. I would thereafter deal with matters as they arise. I would not be like some other MPs who believe it is OK to have second jobs whilst being an MP, and this would allow me to put all of my time into ground up politics. The importance of an MP is to represent their constituents in Parliament. The main parties and their candidates are governed by the outdated whip system which means that the MP may end up voting for a policy because it party policy even if local people or that MP his/herself doesn’t agree with it. The Green Party do not use such a system to allow MPs to best represent the local interests of the electorate on a per issue basis. This is democratic and this is why I am the best candidate alongside the fact I have lived in the constuency for almost 30 years and so have a good grasp of all of the local issues. There is no doubt that the most pressing thing for humanity and the planet is the onset of climate change. It is now the duty of all citizens to address this. One important issue that Eastleigh’s incumbent MP has voted against in line with this is fracking, which helps to keep carbon in the ground. It is understood that the government’s goal has been to get the borrowing deficit down. It appears they have done this by trying to increase GDP and reduce payments made by the state. This has hit the poorest of our society the hardest and it is not acceptable, and it is counterproductive. They call this austerity. In effect the poor are being asked to pay for the mistakes of the private banking system. This is grossly unfair. The deficit could have been addressed and now eliminated had they implemented a Positive Money system as proposed by the Green Party. Austerity has failed and the Green Party are the only party willing to admit that and provide credible alternatives. The UK is a small country and has a maximum carrying capacity (maximum population). It is clear that it is not sustainable to carry on increasing our population. Therefore we need to have fair border controls, fairer than currently exist and fairer than what is being proposed by the other parties. We must put sustainability at the heart of our immigration policy and ensure that all people can live well, and have their basic needs met in every country to reduce the number of people that feel that they must flee their country of origin to be able to live. It is also about education, and informing the next generation in regards to the effects their life choices will have on the planet. The economic system we run can only be supported by increasing GDP on an annual basis. This in turn needs us to create jobs and people come here because we are creating jobs. So to move to a new economic system would also alleviate some of the strain on our services, however instead of scapegoating minorities we must look to solve the individual problems that people are facing in terms of housing, education and health which are all struggling under the current system. We need immigration for those sectors to thrive, and immigrants pay more in taxes than they cost. This is a justified concern. 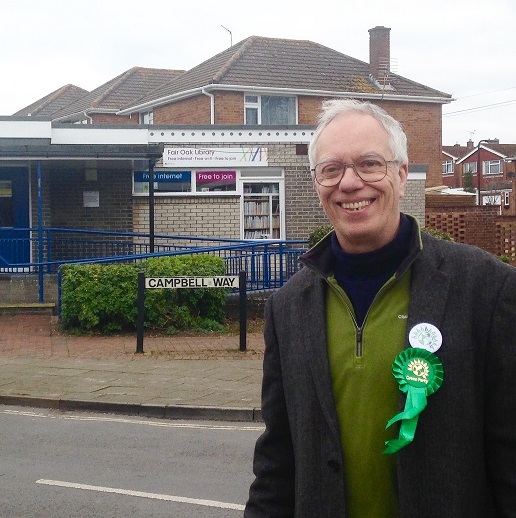 The Green Party believes in local enterprise and keeping money flowing for the benefit of the local community. Therefore we reject large multinational companies, who inherently take money out of communities and work to the benefit of the 1 per cent. I believe that one law that stifles local enterprise and favours the large companies is the leasehold law. If elected I would push for changes in leasehold law to enable local business to flourish. I believe it is pointless and insulting paying people less than what they need to live on. This creates a strain on society. To allow people to make ends meat the government often has to top up people income. The Green Party would replace the minimum wage with a living wage. The Green Party also believes no one should earn more than 10 times the lowest paid person in that organization. Debt is horrible place to be in and because of the discusting disparity between wages and the cost of living personal debt in the UK is at an all-time high. As Leo Tolstoy (author of War and Peace) said ‘we become slaves to debt’ There are two issues here, one what can we do in society to help people not get into debt in the first place, and two, what can we do to help lenders be more responsible. The Green Party want to move to a Positive Money system so that we are no longer a debt based economy, and we also want to introduce a citizens income to ensure every citizen can meet their basic needs without resulting to pay-day loans and other high interest borrowing. I would be totally opposed to the NHS being privatized in any way as I believe it is immoral for private organizations to profit from ill and vulnerable people. I believe it is time the NHS stopped being a political football and should be taken out of the hands of the government and run a like an autonomous body (like the BBC) for the good of the people. This way it could be allowed to run effectively as a private organization but to supply the health needs of the nation. It needs to be supported with ongoing research in techniques and drug treatment. The Green Party believes that there should be a minimum wage which should be enough for people to live on, but also there should be a maximum wage. The effect on successful businesses would be keep more money in the organization creating more cash to creating more jobs and investment. The Green party also believes that it is possible to create a million jobs, through the creation of green energy supplies. This question is also heavily related to education. Successive governments have tried to make education a ‘tick the box’ exercise which has led to the current youth unemployment crisis. Our current system does not cater for this individuality, and schools that put emotional wellbeing at the core are few and far between and often expensive and inaccessible. Whilst it is important help a child achieve their best in terms of academic education, it is far more important to help that child become an emotionally stable person who has the maturity to deal with life’s complexities. If elected I would fight to right the wrongs of the system. I would like to see education emphasise the development of each child’s individual strengths which may be in subjects frequently less favoured. More equal emphasis on arts and modern science application – a more vocational curriculum tailored to each child rather than forcing young people into poverty because maths isn’t their strong point. Happy children learn more, we need to get our children moving, not just stationary desk-learning. As part of the white middle class publicly educated male demographic as a politician I often come up against prejudice myself and rightly so. It is a problem that there is not greater diversity in Westminster, and the Green Party are the only party that truly represent all peoples because they do not pigeon-hole people. We are all human, and labelling people by their ethnicity, religion, sexuality, or any other label can be counter-productive. The Green Party believes in democracy, and as with every opportunity to vote, we would encourage people to do so. It is important people exercise their democratic right through voting and other means such as petitions and writing to their MP. The Green Party believes that it is useful to stay part of the EU, but there needs to be considerable reform.